Ryder and the rescue pups will return to save the day. Nickelodeon has renewed the PAW Patrol TV show for a fourth season of 26 episodes. The PAW Patrol TV series cast includes: Elijha Hammill, Devan Cohen, Kallan Holley, Alex Thorne, Drew Davis, Ron Pardo, Max Calinescu, and Christian Distefano. NEW YORK–June 21, 2016– Nickelodeon is doubling down on its number-one position in preschool with season pickups for three of its top-rated animated preschool series, Blaze and the Monster Machines, PAW Patrol and Shimmer and Shine, totaling over 65 episodes. The renewals—for fourth seasons of Blaze and the Monster Machines and PAW Patrol, and a third season of Shimmer and Shine—are part of the network’s biggest preschool content pipeline ever, with over 10 preschool shows in production and six new series set to debut though 2018. Nickelodeon currently owns three of the top five preschool shows on all TV, led by Blaze and the Monster Machines at number one, and ranks as the number-one network for preschoolers and kids 2-11 year to date. Most recently, the just-launched second season of Shimmer and Shine scored a series high, garnering nearly 2 million total viewers (1.8) and increasing ratings with kids 2-5 (5.3/600k) by 40% over last year. 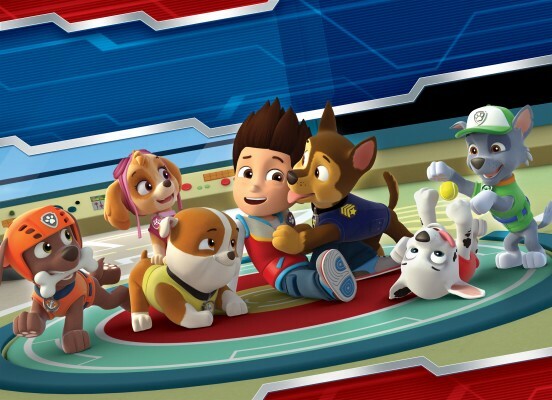 In the fourth season of PAW Patrol (26 episodes, produced by Spin Master Entertainment), the pack of pups—Chase, Marshall, Rocky, Rubble, Zuma, Everest, Tracker and Skye—will be called on to participate in Mission PAW rescues in the kingdom of Barkingburg, located an Air Patroller ride away from Adventure Bay. The heroic pups must save the kingdom from evildoers, including a bad puppy named Sweetie that is scheming to become the queen. The PAW Patrol will also take to the beach for lifeguard duty, diving into daring new aquatic adventures with their new Sea Patroller ship and mini-sub patroller. PAW Patrol features a curriculum that focuses on citizenship, social skills and problem solving. What do you think? Will you tune in for PAW Patrol season four on Nickelodeon? More about: Nickelodeon TV shows: canceled or renewed, Paw Patrol, Paw Patrol: canceled or renewed?